The books got ready. They were read out to me, which convinced me that written in the simple language they would prove useful in understanding Acharya Bhikshu's ways of thinking. At the same time ' Jai Tulsi Foundation' decided to make Acharya Bhikshu's ideas available to speakers of different languages. The original Hindi texts are ready and it is hoped their translations into other languages would be undertaken. 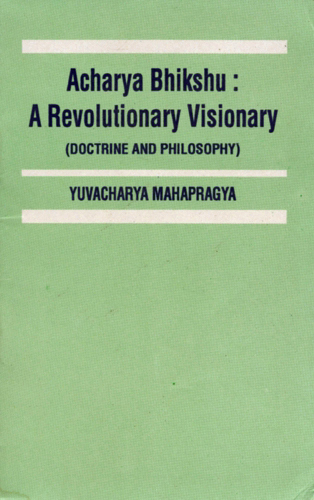 The principles expounded by Acharya Bhikshu are extremely useful for a religious revolution. They can also play an important role in offering solutions to the many ongoing controversies in the field of religion. From the above point of view making these principles accessible to the people is not only necessary and topical but also a solution to the problems relating to religion. I firmly believe that by studying them readers will see a ray of light amidst the darkness of religious confusion.